Yes, I'm a homebody and yes, I get homesick, no matter how much I enjoy the travel away. I miss my community, friends, family, the beauty of the peninsula and Erie summers (for all our brutal winters the other three seasons can be quite glorious) and, of course, my own bed! But what I miss most is our prayer and liturgy and this Sunday's didn't disappoint---wonderful music, creative presentation of the Word, great homily reflections and an assembly fully engaged. The seemingly simple environment caught my eye, too. On the left side was a tree! 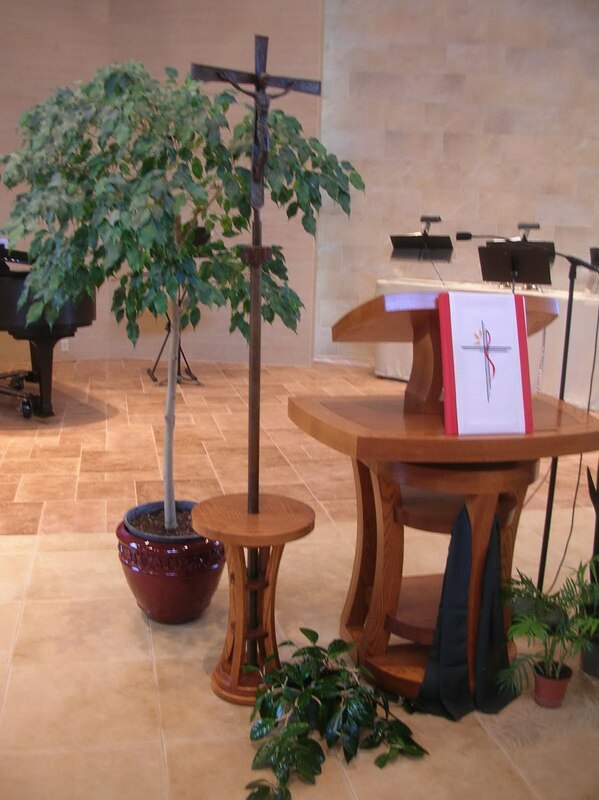 The "artist" brought one of our indoor ficus trees into the chapel. It was beautiful standing there rather stately and comfortable. 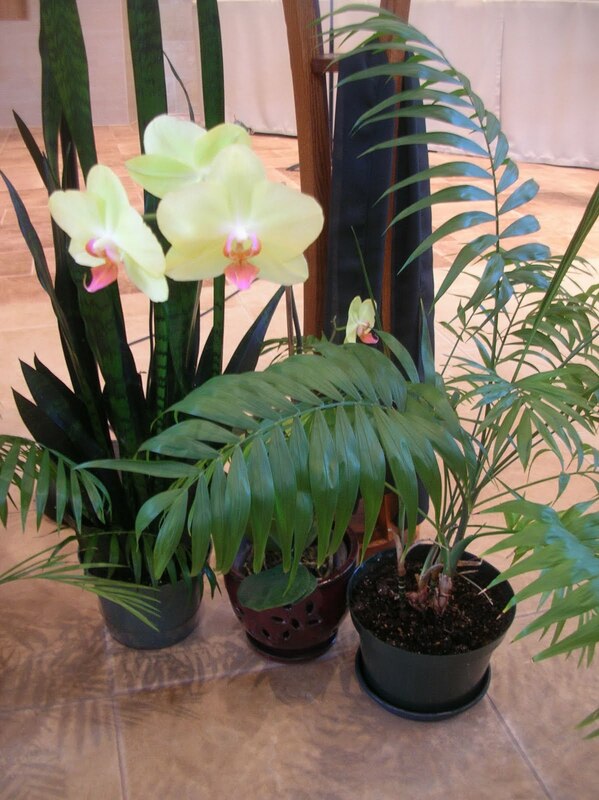 Its leaves may react if it stays too long, but they do survive the moves. On the right was an orchid that's been around for months, and there it was with 3 new flowers. Again, rather unobtrusive, yet stunning in its own right. And a final reflection: the current Monastic Council is continuing the practice of past councils of a common reading with the sharing of our reflections at the beginning of each Council meeting. This year we'll be reading Hope Abundant, Third World and Indigenous Women's Theology. I was able to get into it during vacation and admit, first: that my ignorance is embarrassing and, second: the first chapters are fascinating. Each one is on the challenges and nuances of being a feminist/women Christian theologian within her own country/culture. 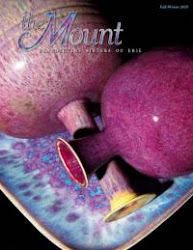 The first four chapters are by women from Kenya, Hong Kong, Brazil and Native American (Cherokee). I'm looking forward to our sharings. So glad to be home.